Local fishermen are familiar with many fish species including shark, barracuda, marlin and sailfish. These fishermen are familiar with most fish they encounter due to years of experience. Being able to identify a fish is essential for when one comes across that particular fish. Knowledge of fish is important in order to be successful as a fisherman. This is why the Miami Deep Sea Fishing charter wants to introduce to you two fish added on local species list. Fish on the local specifies list is more likely to be encountered in the Miami area. Two species are Bluefish and Tilefish. One who would go Miami Bluefish Fishing would be likely to capture them during the winter and springtime. These fish have razor sharp teeth and this should be taken into consideration after catching them. Not knowing how sharp these fish teeth are could be a critical mistake. The fish have blue and greenish blue upper body with a silver shape across their sides. A fisherman has to be very cautious once capturing bluefish as they are very aggressive. Bluefish can be found following a school of baitfish as they feed from them. Good indication that bluefish are around is when there is chuming water or splashing with surrounding birds diving into the water. Regardless of size, bluefish have to be handled with caution as they can bite down hard at anytime. Miami Bluefish Fishing happen can occur both inshore and offshore. Tilefish is another local specifies that has groups of them including golden, gray and blueline tilefish. Capturing tilefish are fun and exciting as there is a good success rate once hooked. This is especially true when they are hooked on electric fishing reels. Sharks enjoy going after tilefish so one can go shark fishing while Miami Tilefish Fishing. The big game is only a few days away as we are all getting ready for it. Many us celebrate the game as an all weekend event. Those who do not work in the weekends will start partying and tailgating in anticipation of the Super Bowl. Most are trying to kill time until the game happens. Everyone is done and tired of all the media coverage and predictions, it’s time for the game already. One way to kill time until the Super Bowl is by going Miami Deep Sea Fishing. Premiere deep sea fishing charter is the THERAPY-IV. This fishing charter provides two identical boats so that more guests can go boating at the same time. Football fans will look forward to a fishing trip, as it will get their mind off the stress and anticipation. Stress can come from all the plans being made for the Super Bowl party. Being a host for any party, especially a Super Bowl can be very tasking. Many football fans just want time to fly by, especially in the weekend when many of us don’t work. During the week, work and daily routine keeps many of us busy. Friday afternoon and Saturday will be slow days as there will be nothing to do until the game. There are other sports to watch on television, but it isn’t the same. Taking a trip on the THERAPY-IV may be exactly what one would need in Super Bowl weekend. The THERAPY-IV provides a variety of adventures including Miami Inshore Fishing. Those who are not comfortable with sailing out far will be in favor of Miami Inshore Fishing as it’s nearby land. Fishing inshore is enjoyable for both novice and experience fisherman. Many fish are there to be captured right by the dock of Haulover Marina. 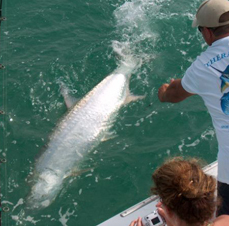 Going Miami Deep and Inshore fishing are perfect ways to celebrate Super Bowl weekend. Are You Ready for Some Football!?!?!?!? Today we are less than a week away from the big game on Sunday. Super Bowl is a week long event for many of us as we are making preparation for it. Football fans everywhere are looking forward to this high point of the year. Even those who are not big football fans are looking forward to it. Whether you’re going for the 49ner, Ravens or just want a fun game; it’ll be entertaining. People in New Orleans are already partying as they generally party throughout the year. Most of us are just trying to kill time between now and Super Bowl Sunday. Many are going to be busy with the daily routine until that day. Throughout the week this game will be covered with analysis and predictions from the experts. This game will be talked about on the news and multiple sources of media. 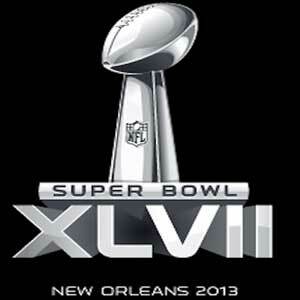 Super Bowl is one of the biggest events of the year as people around the world watch it. One thing to do in order to kill time until the big game is Miami Fishing. Taking a trip on the boat maybe just what you need in order to relax and calm down. Big game can bring plenty of stress and anxiety to fans as some are very emotionally invested to the game. Stress can also come from preparations for the game so everyone can have a good time. Fishing trip can help you clear your mind and not worry about everything going on this week. One of the best Miami Fishing charters around is the THERAPY-IV. This charter provides two identical top of the line boats with up to date equipment and experience crewmembers. The THERAPY-IV wants to know if you are ready for some football!??!? Month of January is coming to close as February is just around the corner. Super Bowl is right in the beginning of next month as it’s on February 3rd. Miami Beach Deep Sea Fishing Charter the THERAPY-IV wants you to enjoy the month of February. What better way to get ready for February than by knowing some of events for that month? 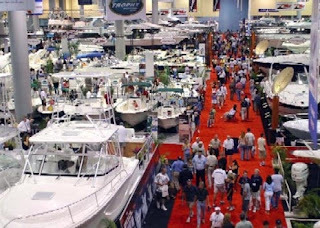 Some events include the Miami International Boat Show and Sobefest. These events are so large that each of them last over three days. Miami International Boat Show is one of the largest events of the year as they are sponsored some major companies. These companies include Suzuki, West Marine, Florida Lottery, Progressive, AT&T, The Miami Herald and more. This event is so large that it occurs in three locations. These locations include Miami Beach Convention Center, New Yacht & Power Boat Show at Sea Isle Marina and Strictly Sail at Miamarina at Bayside. Boat Show is from February 14-18 to be a nice long weekend form Thursday to Monday. Amount of days given allow visitors to take part in all three locations of this boat show. One ticket will be good for all three sites as there will be free access to shuttle buses and water taxi between the locations. At this event, some of the world’s greatest boats will be displayed for the viewing public. Sobefest otherwise known as the South Beach Wine and Food Fesitival is an annual event held in February. This festival is full of events including Wine Spectactor’s Best of the Best, Swine & Wine, BBQ & The Blues and more. There will be big name guests including Rachel Ray, Guy Fieri, Bobbly Flay and many more. This event will be from February 21-24. Between events take a drive to Haulover Marina and take a Miami Beach Deep Sea Fishing trip on the THERAPY-IV. Month of January is almost over as February is just around the corner. Most of us are back to the grind after days or weeks off from holiday festivities. Many people are already back to work, school and other obligations. This month has flied by for many of us as we are so busy with the daily routine. Everyone needs to take a break from their daily routine every once in a while. This break needs to be memorable so that it was worth taking the time off and getting behind again. Miami Sailfish Fishing is the activity that will be memorable while being a relaxing break from the daily routine. Activity such as this can very well be the highlight of January. Fishing trip is therapeutic from many of us as one sails across the sea. The premier charter for Miami Sailfish Fishing is on the THERAPY-IV. 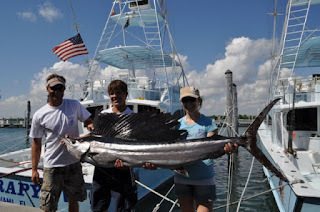 This Miami Deep Sea Fishing charter is widely known in Miami Beach. Recently the THERAPY-IV was ranked #1 for Miami Beach activities. Ranked number one in Miami Beach says a lot as there are so many activities to choose from. Miami Sailfishing is one of the featured trips provided by the THERAPY-IV crew. 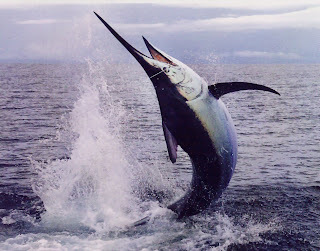 Sailfish are beautiful, large and strong fish that are great fighter. Their name sailfish comes from the fact that their dorsal fin is similar to a sail. It can be very difficult to locate and capture sailfish, as they do not give up easily. This is why the THERAPY-IV provides crewmembers to assist you with catching these fish. Taking a trip on the THERAPY-IV is an adventure within itself as it smoothly sails across the sea. There isn’t a more gratifying feeling than successfully catching a fish, especially one as difficult as sailfish. Take a break from reality and make your month of January memorable by taking part in a Miami Sailfish Fishing trip on the THERAPY-IV. Miami Beach is the place this time of year, especially for outdoor activities. City of Miami Beach is everyone’s favorite place to be in South Florida. 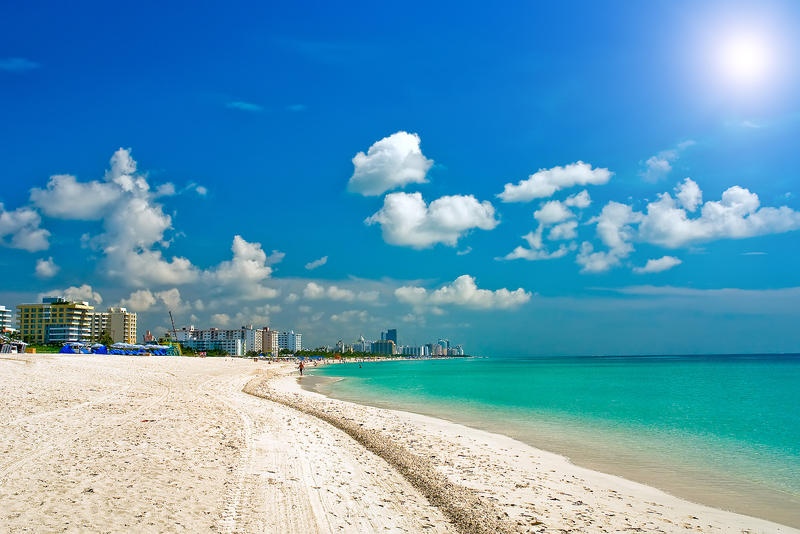 Whether you’re a resident or visiting South Florida, you should make the trip to Miami Beach. This area is nationally known for being fun anytime of year. Miami Beach is just as fun whether it’s fall, winter, spring or summer. Outdoor activities are available throughout the year as the weather is rarely cooler than 70 degrees. These activities are ranked by ratings and reviews given on a review site. The #1 activity is Miami Beach Deep Sea Fishing on the THERAPY-IV. The THERAPY-IV is an unforgettable Miami Fishing trip that both residents and visitors take part in. 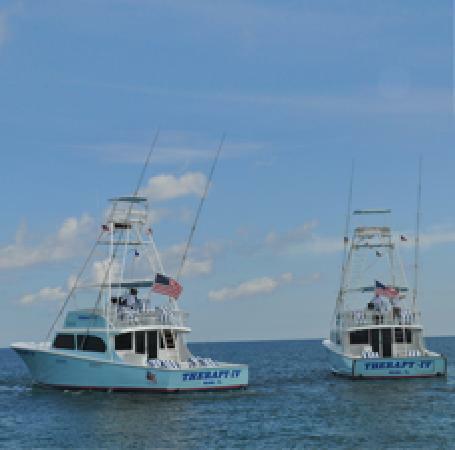 This Miami Beach Deep Sea Fishing charter provides two identical boats. Providing two boats allows more fishermen to boat at the same time. Fishermen can choose to go either inshore or deep-sea fishing as each comes with their advantages. Customers who take part in this Miami Fishing adventure are provided crewmembers for assistance. Crewmembers come with years of experience and expertise so that you can have a good time. The THERAPY-IV fishing trip is an enjoyable one whether you’re a novice or expert fisherman. Miami Deep Sea Fishing charter provides a website and multiple sources of social media for more information online. Taking a trip on the THERAPY-IV should be on your to do list on things to do while in Miami Beach. There is a reason why the THERAPY-IV is ranked as the #1 activity in Miami Beach. Being ranked number one shows how many customers have taken a trip on the THERAPY-IV and enjoyed them. Miami Beach Deep Sea Fishing trip will be unlike anything you’ve done before. Recently the THERAPY-IV has been ranked #1 for Miami Beach Activity according to a credible review source. 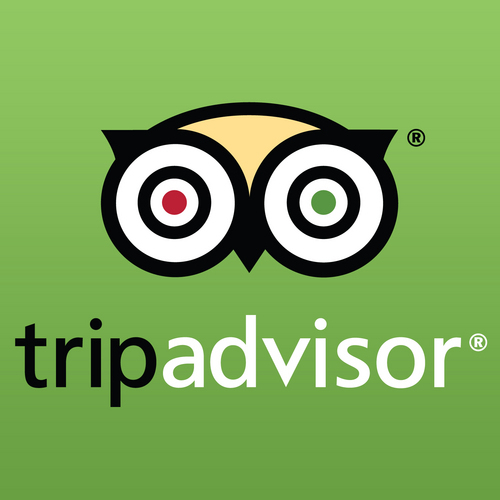 The site Trip Advisor is a review site that rates activities with ratings and comments. Miami Beach Fishing charter has been ranked in the top 5 for a long time. Now there is no question that the THERAPY-IV is the number one Miami Beach activity. Everyone always looks at number one when it comes to rankings as less people look at number two. Difference between the number one and number two ranked of anything is amazing. Number one generally means that the one on top is clear cut better than the rest. This is especially true for rankings on Miami Beach activities. It’s very difficult to be ranked high on a review site, as everyone is welcome to input, good or bad. Generally those who do not have a good time are more likely to write a review. This is why good ratings are so valued on the internet. Most people that have a good time are simply convinced they got what they paid for. Those who write good reviews are ones who were completely wowed by their experience. Positive reviews also come from people who want to show their support so others can have a great time like they did. Being ranked number on an activity review site shows that an overwhelming amount of people have enjoyed themselves. The THERAPY-IV looks to stay on top as the number Miami Beach Activity around. Miami Beach Fishing charter encourages those who have been on the THERAPY-IV to share their experience on the Trip Advisor site. People enjoy sharing their positive experiences in life, what better way to than posting a review on their Miami Beach Fishing experience. 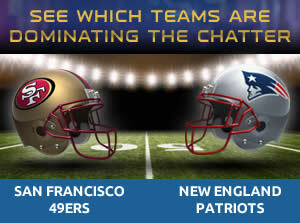 Super Bowl Match Set – Who Will You Root for? NFL Championship games were played yesterday and the Super Bowl Match is set. Baltimore Ravens won the AFC Conference while San Francisco 49ners won the NFC Conference. Both teams are based on running the ball and having good defense. For those who don’t know, two head coaches for this Super Bowl are brothers. Each team has a similar blueprint with hard nose football. Lately both teams have had explosive offenses. Which team will you root for this Super Bowl? Those who have not been following football until now have two weeks to do research to find out about each team. The Miami Deep Sea Fishing crew from Haulover Marina wants to know which team you’re rooting for. Crewmembers each have their own individual input about how the game will be played out. Some people who are rooting for Baltimore Ravens are running off an emotional high for Ray Lewis. Future Hall of Fame Linebacker Ray Lewis announced that he would be retiring after this season. His team wants to win it all for his last year of playing football. 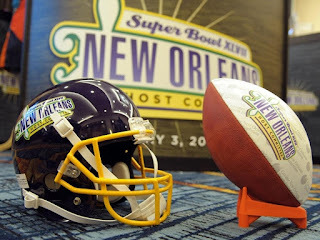 Last Super Bowl for Baltimore Ravens was over 10 years ago. Like many players, Ray Lewis took his first Super Bowl for granted as he won it at a young age. Ravens have been a strong team over recent years as they have been playoff contenders over the last 5 years. There is also the 49ners that have made a huge turn around over last 2 years. Two years they hired a new coach and before that they were average at best. 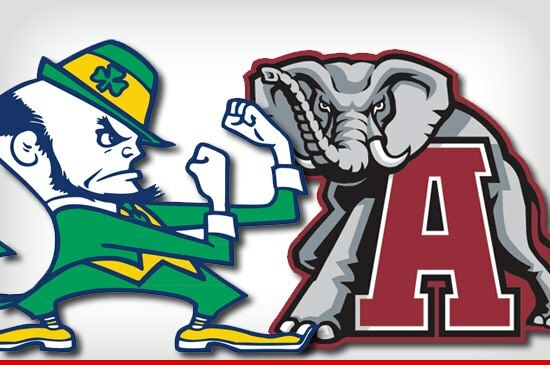 This game will be one to remember as both offenses are explosive and defenses are fearsome. This game will be an entertaining one to say the last. Miami Deep Sea Fishing crewmembers from Haulover Marina want everyone to have a good time this Super Bowl weekend regardless what team they are rooting for. Miami Fishing is an enjoyable activity that many South Florida residents take part in. Visitors especially as they look to take advantage of this great South Florida weather. Fishing is an activity that is shared with others as you can share stories with each other. Stories about fishing allows fisherman to share their adventure with others. Those who did not fish with you have trouble seeing what you’re seeing when the story is told. This is why fishermen take pictures of the fish they captured, to show what they accomplish. Pictures of these fish will help confirm stories told. Fishermen everywhere enjoy looking at awesome fish pictures. Every fishermen has their own set of pictures they enjoy sharing. Most Miami Fishing charters have pictures they share with fellow fisherman. There are many charters from Haulover Marina that do the same, including the THERAPY-IV. Pictures from the THERAPY-IV are posted a number of times a week. The Haulover Marina charter posts awesome fish pictures on Thursdays. On this day of week, the THERAPY-IV posts some of their best pictures from the week. These pictures range from marlin, sailfish, tuna, shark and more. Pictures from trips feature those who caught the fish as they are standing next to the fish they captured. Some pictures have a group of people who worked together to capture the fish. There are other pictures of an individual with a fish they caught on their own. The THERAPY-IV already has hundreds of great fish pictures displayed on their Facebook account. Many more pictures are on the way, as people love taking pictures while Miami Fishing. Some people show off their fish at Haulover Marina once the trip is over. Thursday is the day for awesome fish pictures from the THERAPY-IV at Haulover Marina. Super Bowl Weekend is only a week away as everyone is making preparations today. This game is the most popular event around as there are millions of viewers. Many groups of family and friends will be gathering to enjoy the game. Gathering will either be done at someone’s home or a sports bar with deals and specials. Event of the Super Bowl takes up an entire weekend. Some people commit their entire week towards the Super Bowl. Every year we find ourselves doing the same thing for each Super Bowl. Why not add Miami Deep Sea Fishing to be a part of your Super Bowl weekend festivities? Instead of sitting around waiting for the game to happen on Sunday, enjoy a day out on the THERAPY-IV. Make Super Bowl weekend memorable by adding Miami Inshore Fishing on the to do list for that weekend. Cool off all the anxiety about who’s going to win or lose. People find themselves stressing out over putting plans together such as Super Bowl gatherings. Cut loose and relax by taking a Miami Deep Sea Fishing trip to clear your head. Miami Inshore Fishing is a therapeutic activity that is nice and relaxing. All the anxiety of being out in the sea is gone as the fishing trip is nearby land. This can become a highlight of your weekend if the game happens to be boring or your team loses. Adding this trip as a part of your weekend makes it a no lose situation. How many people are going to say how they went Miami Deep Sea Fishing on Super Bowl weekend? Many people are already booking their Miami Inshore Fishing trips on Super Bowl weekend. Get your hands on one of these days on that weekend before it’s too late. It is already time to start planning ahead for Valentine’s Day with your loved one. Every year we have to think of interesting and creative ways to spark the relationship again. No one wants to do the same thing over and over again. Valentine’s Day is the perfect opportunity for couples to show how much they value each other with an over the top gesture. Many couples value this day, as they need another spark after being drained from the holiday season. Couples will generally go out for dinner as that is the standard. Some people like to be unique by taking part in activities as a couple for Valentine’s Day. One activity that a couple can take part in for Valentine’s Day is Miami Beach Deep Sea Fishing from the Haulover Marina. This fishing adventure can be exactly what a couple needs, a day off together. Those who enjoy nature by being out on the water will enjoy their smooth trip on the THERAPY-IV. Teamwork to catch fish strengthens or sometimes recreates bonding for couples. Successful cooperation is a gratifying feeling, especially with a challenge such as capturing fish. Some fish are more difficult to capture than others, while none of them give up easily. Miami Beach Deep Sea Fishing is a unique experience that couples should take part in. 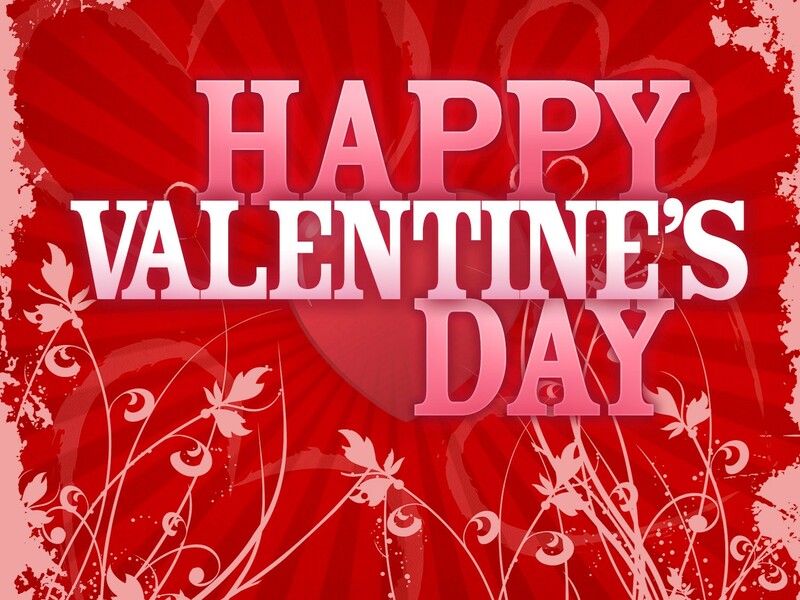 In order to encourage this activity as a Valentine Day event, Haulover Marina is offering specials for this holiday. 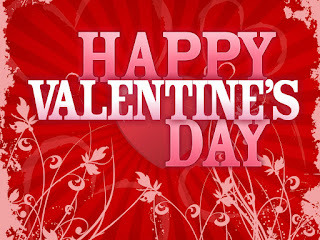 Keep up with the THERAPY-IV blogs and social media to find out about upcoming deals for Valentine’s Day. Don’t spend Valentine’s Day on an hour and a half wait time to eat a restaurant that you can eat at any other day of year. Offer a fun, unique and relaxing at the same time experience that you and your loved one will never forget. Now is the best time for outdoor activities in South Florida. Outdoor activities such as Miami Inshore Fishing should be taken advantage of while the weather is perfect. Weather right now is South Florida has that nice Miami warm climate along with winter breeze. There are still some family and friends from out of town that are looking to have a good time. What better way to recharge to school and work with an exciting fishing trip? Inshore fishing is perfect for those who do not want to travel far out in the sea. One can take a trip on the THERAPY-IV just off Haulover to catch some fish. Miami Inshore Fishing is an option that many people are not aware of. Most people assume that one has to go far out in the sea to catch quality fish. There are plenty of fish to capture while going Miami Inshore Fishing. Along the coast one can find barracuda, snapper, snook, kingfish, tarpon and more. One can capture plenty of fish in a short amount of time when inshore fishing. Inshore fishing on the THERAPY-IV is ideal for all levels of fishermen. Those who are new to catching fish would be interested inshore fishing nearby the marina. The THERAPY-IV crew wants to know if you enjoyed your last trip Miami Beach Fishing? Whether it was the last one or previous trips, we want to know if you had a good time. It is important for us to know whether you had a good time or not. We encourage feedback so we can know what we are doing right and what can be worked on. Feel free to let us know on Tripadvisor.com. This company shares reviews and ratings on outdoor activities including Miami Beach Fishing. Tripadvisor.com is a respected source of information for those interested in activities. People can create an account and search through activities in Miami Beach and other areas. These activities will have written reviews and rating scores from those who experience those events. This is a money and time savor so that people can know what activity is better than another. No one wants to waste money on an activity that is not enjoyable. It is better to be safe than sorry, this is why there are sites such as Tripadvisor.com. Activities that are fun should not be hidden in the shadows and should be shared with everybody. Currently the THERAPY-IV is ranked #1 for Miami Beach activities on Tripadvisor.com. Share your experience on the THERAPY-IV for everyone to know how you enjoyed your trip. Simply sharing your experience will allow us to grow as a business and introduce others to this boating adventure. We are always open to suggestions on how we can improve as a Miami Beach Fishing charter. There is always room for improvement with everything in life, including fishing. 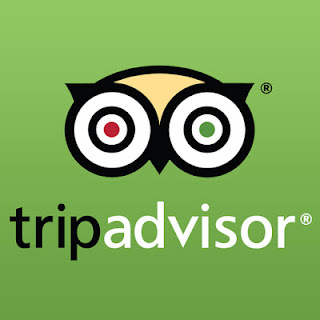 We would greatly appreciate your feedback, as we would like to know if you enjoyed your trip. Weather is South Florida is perfect for outdoor activities this time of year. People who made New Year’s Resolutions to be more active could not choose a better time to do so. Simply taking a walk outside is an enjoyable experience both during the daytime and nighttime. One of the best activities to take part in this time of year is Miami Deep Sea Fishing. Take a trip to the Haulover Marina to take part in an unforgettable fishing trip. Whether one is a novice or expert fishermen, both equally enjoy taking a trip from this harbor. 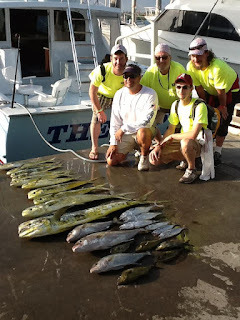 Feature charter from Haulover Marina is the THERAPY-IV Miami Deep Sea Fishing. This charter provides two nearly identical boats so that more guests to take part in this adventure. Crewmembers are provided with years of experience that will make the trip more enjoyable. These crewmembers will assist you with successfully capturing fish you desire to catch. Throughout the year Miami Deep Sea Fishing is a great trip to enjoy with friends and family. Some people feel as though it’s too hot until they go out there and enjoy breeze from the sea. This time of year one does not have to wait for breeze for the weather to be cool. Comfortable weather gives people one less thing to think about and have a great time. Taking a fishing trip is an escape for many people from the daily routine. Many of us are drained from holiday festivities and now back to work. Plenty of people are still adjusting getting back to school and work. Miami Deep Sea Fishing trip from Haulover Marina may be exactly what they need. Relaxing fishing trip allows one to refresh their mind and body from all exterior stresses. Calm trip with great weather is one way to start the New Year. There are many activities to choose from in South Florida whether one is a resident or visitor. This area is known for its outdoor activities including fishing. Miami Beach Deep Sea Fishing is one of the more popular trips to be a part of. Within these adventures, one of the more challenging fish to capture is sailfish. Miami Sailfishing is the number one activity in South Florida while out Miami Beach Deep Sea Fishing. These fish are the benchmark in terms of a challenge for fish to capture. Contrary to popular belief, sailfish are more difficult to capture than sharks. Sailfish are large beautiful fish that are great fighters. They are known for their dorsal fin as that is the first thing people think when mentioning sailfish. These fish are called sailfish because their dorsal fin is similar to a sail on a boat. Sailfish have the large dorsal fins of all the other billfish. 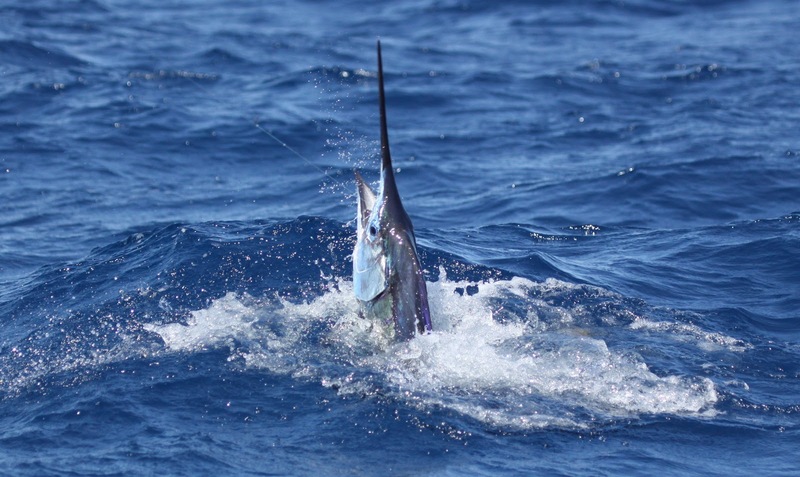 Most sailfish do not give up easily once they are hooked onto bait. Challenge of catching these fish brings a rewarding satisfaction. Many fishing companies, tournaments and trophies display sailfish for that very reason. South Florida is the best place to locate variety of sailfish. It can be very difficult to capture these fish that is why some fishing charters provide crewmembers. Miami Beach Deep Sea Fishing charter the THERAPY-IV provides crewmembers with years of experience. 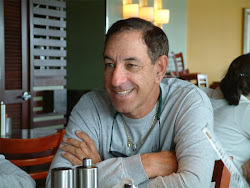 Miami Sailfishing can be a fun and successful trip with the right boat and crewmembers. Nothing feels better than success, go out there and catch some sailfish. 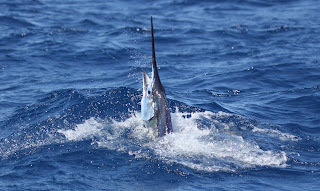 This fishing trip was recently rated number one as people have been realized how much fun it is to capture sailfish. Hope everyone had a great weekend enjoying the games between football and basketball. Today is the big day we have all been waiting for weeks. Many visitors are down here from Notre Dame and Alabama Universities. South Florida is the place to be this time of year for the weather, entertainment and activities. Weather is better than anywhere else in the country as it is not snowing so you can enjoy outdoor activities. Outdoor activities such as Miami Deep Sea Fishing can be enjoyed while down here in Florida. This activity allows you to take advantage of this great weather in South Florida. Take a trip to the Haulover Marina to go fishing before or after the game. Whether you are celebrating the big win or looking for a get away after a tough loss; Miami Deep Sea Fishing is the way to go. Tonight will be a lot of fun either way with fellow fans, friends and family. Have a great time and show your support for your favorite team. Both teams have committed fans who traveled many miles to support their team. Some people may be visiting South Florida for the first time. Take full advantage of this opportunity by enjoying everything this region has to offer. Outside the weather and outdoor activities this area is known for its entertainment and nightlife. There are so many places to choose from in order to have fun in Miami Beach. South Florida is one of the few places where one could have a good time simply by hanging out on the beach. There are so many activities, restaurants, people and entertainment right by the beach. Enjoy the game and a nice Miami Deep Sea Fishing trip from Haulover Marina. Miami Beach is the place to be this time of year due to the perfect weather. It is neither too cold nor hot as there is a nice breeze with along with the warm sun. Whether one is a resident or visitor of Miami Beach, they should look to take advantage of what this area has to offer. Outside of their beautiful beaches there are restaurants, bars, clubs, outdoor activities and other amenities. One outdoor activity that not enough people know about is Miami Beach Deep Sea Fishing. Those who are interested in Deep Sea Fishing while having a good time in Miami Beach can take advantage of this opportunity. One would not have to travel to another city in order to go deep-sea fishing. Visitors of Miami Beach are finding ways to enjoy the beautiful weather that South Florida has to offer. 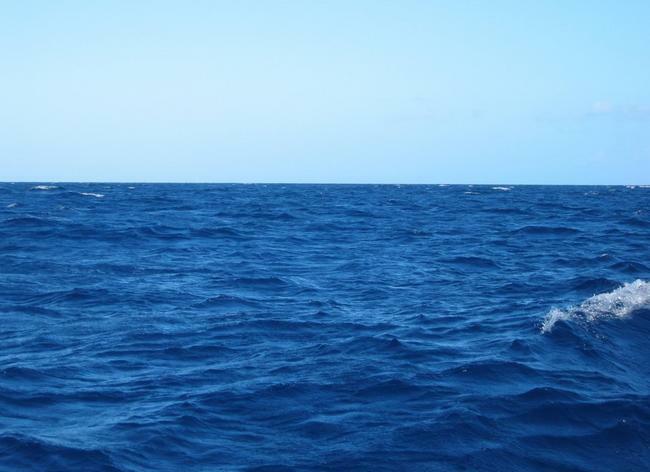 Residents often forget to take advantage of their many opportunities throughout the year to go Miami Marlin Fishing. People living in South Florida are caught up with school, work and other obligations that keep them busy. Both residents and visitors should create sometime in order to go Miami Marlin Fishing. Catching Marlin is the top attraction in Miami Beach and fishing in the area. Marlin is the signature fish for South Florida as their professional baseball team is the Miami Marlins. Capturing these fish is no easy task as they are fast, strong and great fighters. Great challenge involved with catching these fish brings a rewarding sense of gratitude. Miami Beach has many great attractions; fishing for Marlin is one that you should not miss out on. Hope everyone had a great New Years celebration with loved ones. Now is time to start off the year on a good note with some Miami Beach Deep Sea Fishing. This is also happens to be the best time of year to go out fishing. Weather is perfect to go out Miami Beach as winter in South Florida is rarely below 70 degrees. South Florida is the best place to go deep sea fishing this time of year. Most places around the country are desirable for outdoor activities, especially fishing. Everyone is looking for a change up or a way to set the tone for this New Year. One should allow them to recharge by taking a relaxing fishing trip before charging into the New Year. People are generally highly stressed and overwhelmed with responsibilities with it’s from home, school, work or socially. Simply trying to get from one place to another through traffic creates stress. Traffic in South Florida can ruin someone’s day whether it’s the beginning or end of his or her day. Living in a large city such as Miami or Miami Beach can be a lot of fun as well. There are so many activities to enjoy and take advantage of, especially outdoor activities. Miami Beach Deep Sea Fishing is unlike any other experience you have had before. People generally think of the beach exclusively when Miami Beach is mentioned. Even though Miami Beach does have great beaches and amenities, fishing in that it area can be a lot of fun. Plenty of fish can be found while going out Miami Fishing this time of year. The weather has not dropped enough to scare fishes away from their natural habitat. Take advantage of this opportunity and enjoy the thrill of Miami Beach Deep Sea Fishing to start of the New Year.